Last night we did something that I bet a whole lot of people didn’t do. 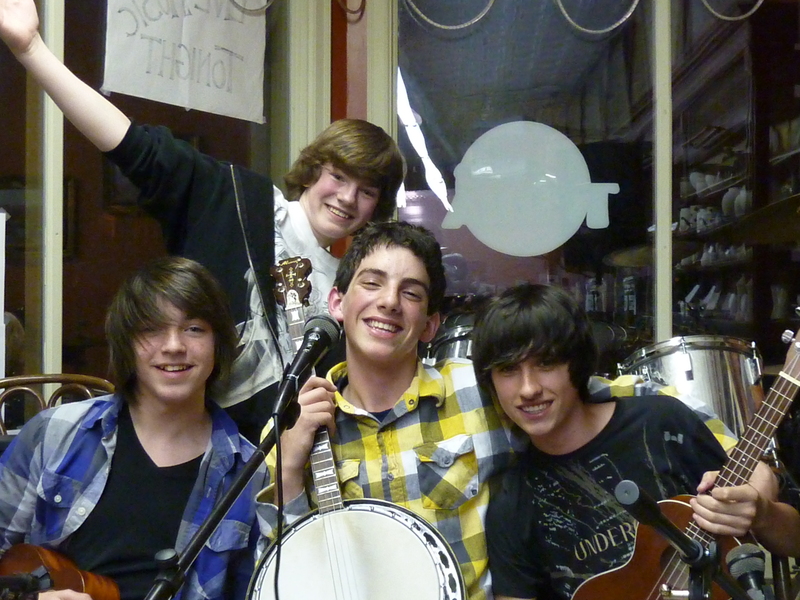 We went to watch a band, consisting of four 13-15 year-olds play at a coffeehouse. The band which calls itself Southern City Heros consists of a drummer, 2 ukulele players and a banjo player –so definitely not your typical teenage band. They were good – they performed original music and covered some ballads by Jason Mraz and Green Day. We got to enjoy a great cup of cappuccino and hang out with our boys, which is a rare treat in the presence of their friends. The band is a group of the boys’ friends who came back to our house for a sleepover afterward. They performed well and provided us with a treat for a Friday night out of live music.